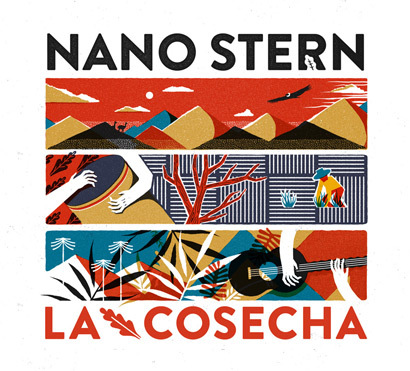 When Chile's Nano Stern returns to Australia in 2014, he'll release his latest recording, La Cosecha (The Harvest). This album is literally a harvest of the traditional and modern classic songs that Nano plays at all of his concerts, alongside his own compositions. Also included on this album are two songs that Nano wrote and recorded with Chilean legends, Inti Illimani. This album was produced especially for fans who wanted quality recordings of the songs they heard at concerts that couldn't be found on Nano's 4 self-penned albums, with a very limited number of copies available. This album will not be available on itunes, spotify or in any other format after these are sold out, at least until Nano tours Australia again!